Discover the depth of Jewish culture in Boston on this 2-hour walking tour. Visit the Vilna Shul, West End House, typical Jewish homes, and the Holocaust Memorial. See the impact of Jewish culture on this memorable walking tour. At 2:30pm, make your way to the Milk Street Cafe, located at 50 Milk Street. Come early for a delicious lunch before your tour if you want, and meet your professional guide outside of the cafe. 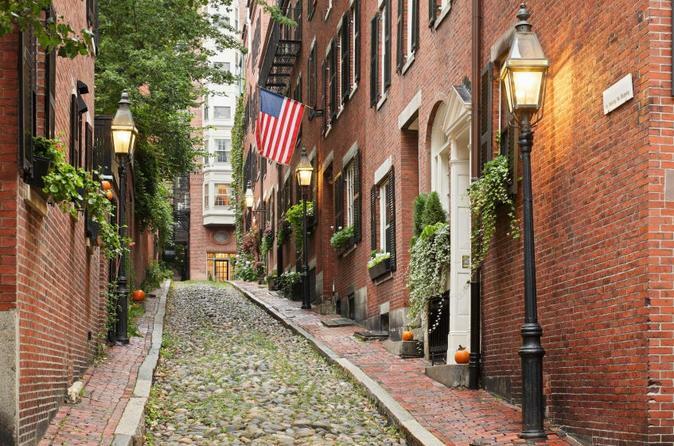 Follow your friendly and knowledgeable guide to Beacon Hill to begin your 2-hour walking tour. Walk through the "back side" of Beacon Hill and see where several Jews resided during the nineteenth century. Then, visit the historic Vilna Shul and pass by typical Jewish homes. See the West End House, which is where Jews living in the West End received social services, and the Puffer House Cigar-Rolling Factory. Stroll through one of Boston's oldest neighborhoods and go through the impressive and impactful Holocaust Memorial. Walk through the glass structures and then make your way the the North End. Discover the depth of Jewish culture in Boston on this walking tour.